The committee is headed by Prof Umesh Ashok Kadam, dean of students, and other being Prof Rajnish K Mishra, Bhaswati Das, Garima Dalal, and Tapan Bihari. 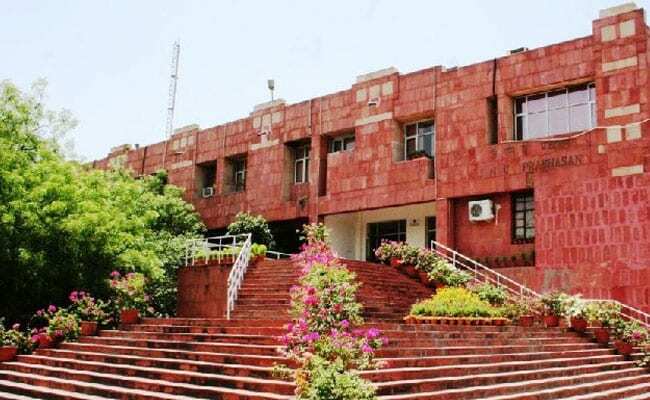 New Delhi: The JNU administration has announced a five-member committee to conduct polls to elect three student representatives for the newly-formed Internal Complaints Committee (ICC), which was constituted after dissolution of GSCASH. The committee is headed by Prof Umesh Ashok Kadam, dean of students, and other being Prof Rajnish K Mishra, Bhaswati Das, Garima Dalal, and Tapan Bihari. "The elections will be held through the office of dean of students," the order read. Incidentally, the four-member election committee of the disbanded GSCASH, headed by Bhagat Singh Saini, has put on hold its election process which was scheduled to be held on the same day. "The polls have been put on hold until JNUSU meeting on Friday," said a member of GSCASH election committee. A section of JNU teachers and students had yesterday approached the Delhi High Court challenging the varsity administration's decision on disbanding the Gender Sensitisation Against Sexual Harassment (GSCASH) and forming the ICC (Internal Complaints Committee) instead. The court today agreed to list it tomorrow after the petitioners' counsel pleaded urgency to take up the case.